Subaru has announced that the new 2019 BRZ sports car will start at $25,795, representing only a $200 increase over last year’s model. The BRZ will be available at three trim levels when it arrives at dealerships this fall: Premium, Limited, and a new trim called “Series.Gray.” The Series.Gray is a limited-edition model that makes itself stand out with unique 17-inch black alloy wheels, black exterior badges, black foldable side mirrors, and of course a unique gray exterior color. The Limited trim received some new toys, most notably an updated 7.0-inch STARLINK infotainment system that can receive over-the-air updates via Wi-Fi. It also comes with new “Tune Mix” and “Sports Flash” features — the former mixes songs from your saved music channels and the latter provides sports updates based on the teams you preselected. Related: What is Subaru STARLINK? At the bottom of the range, the BRZ Premium offers LED headlights, a rearview camera, remote keyless entry, welcome lighting, and dual dashboard-integrated USB ports as standard equipment. For Alcantara inserts and leather bolsters, you’ll have to upgrade to the Limited. Under the hood is the same 2.0-liter boxer engine producing 205 horsepower and 156 lb-ft of torque when paired with a six-speed manual (it makes 200 hp and 151 lb-ft if you opt for the automatic transmission). 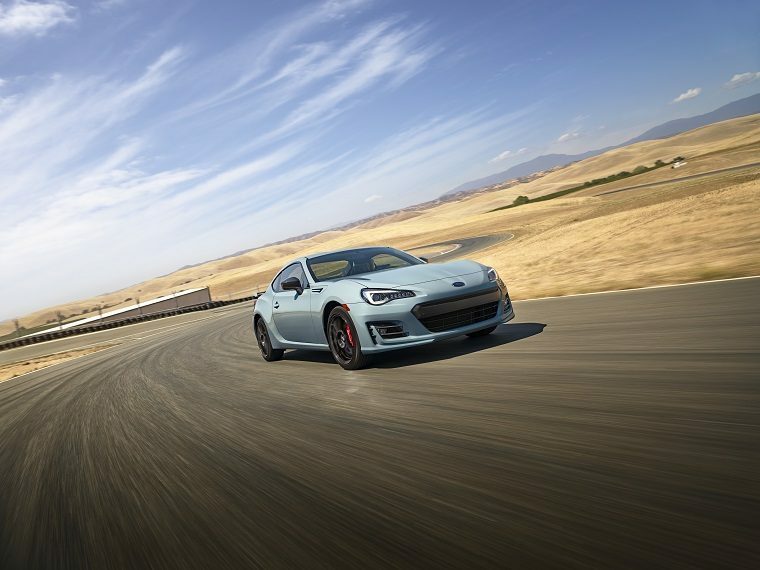 The BRZ prides itself for its handling, courtesy of the engine’s low center of gravity and of the limited-slip differential. For even more fun you can select a performance package that adds Brembo brakes at the front and rear as well as Sachs shock absorbers and unique 17-inch aluminum alloy wheels. It costs just $1,195, which we’d say is well worth the price for driving aficionados.